Yoshua Bengio is a professor, famous writer and computer scientist working dedicatedly on both artificial neural networks and deep learning. He is well known for his achievement in research and writing career. Up till now, Yoshua has launched three books and more than 300 publications. The writer also associated with many of the top journals, in machine learning and neural networks, as a trustworthy editor. Besides, most of his works on the areas of deep learning, recurrent neural networks, probabilistic learning algorithms, natural language processing, and manifold learning, are widely cited. In fact, he is the second-most cited Canadian computer scientist. Received a Ph.D. in Computer Science from McGill University, Canada in 1991, Yoshua later finished his two post-doctoral fellows at M.I.T (with Michael Jordan) and AT&T Bell Laboratories (with Yann LeCun and Vladimir Vapnik). Soon after, at the Department of Computer Science and Operations, he became a professor. 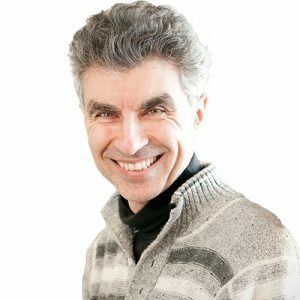 Yoshua Bengio is now best known as not only the head of the Quebec Artificial Intelligence Institute (Mila) – the largest academic research group on deep learning – but also the board member of the NIPS Foundation. Having a great interest in deep learning, along with the goal to uncovering the principles giving rise to intelligence through learning, since ‘2000, the professor has been holding a Canada Research Chair in Statistical Learning Algorithms, and contributed in directing deep learning-focused programs at the Canadian Institute for Advanced Research (CIFAR), where he soon later nominated Fellow of the Royal Society of Canada and received the Marie-Victorin Quebec Prize (2017). Nonetheless, he was spending 14 years on co-organizing the Learning Workshop and co-creating the new International Conference on Learning Representations. Talking about the current interests, the scientist expressed his enthusiasm for a quest of AI through machine learning.